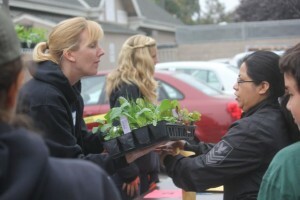 The festive event included planting demonstrations in English and Spanish, testimonials from participants, and a time for families to pick up seedlings of broccoli, lettuce, peas, and other cool season crops to take home to their backyard gardens. Three years ago Sacred Heart launched La Mesa Verde, investing in the notion that helping low income families grow their own healthy food would help overcome problems of hunger, food insecurity, “food deserts”, a term for urban areas where residents do not have access to fresh food from local markets, and “junk food swamps,” meaning neighborhoods overrun by fast food eateries, and not much else. 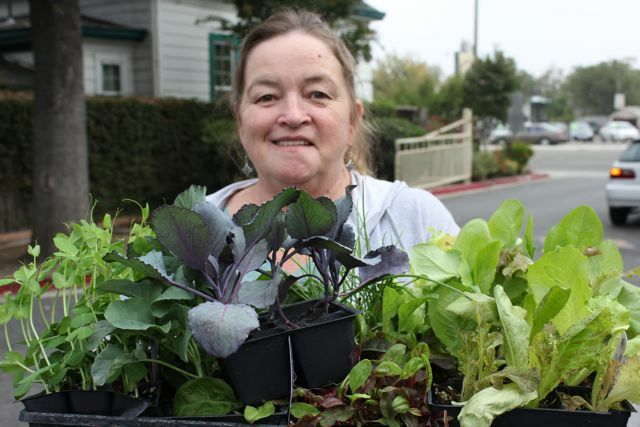 The idea was enthusiastically embraced by many in San Jose, including the Master Gardener program of the University of California Extension, which stepped in as mentors to guide families in setting up and growing the gardens. In the last three years, more than 300 families from throughout San Jose have participated, receiving materials to build one or two wood raised beds and a drip mist system, along with soil, and seedlings. 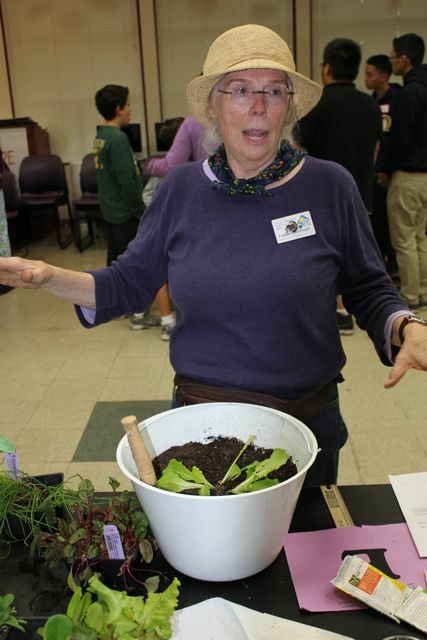 They also attend gardening classes taught by the Master Gardeners. February, is working to fill. On big hole was a language and cultural gap between volunteer mentors and the participating families. The program serves a diverse population, but a majority of the families speak Spanish, a skill lacking in most mentors. Ramirez estimated that only about 30 percent of the families have one-on-one mentorship. 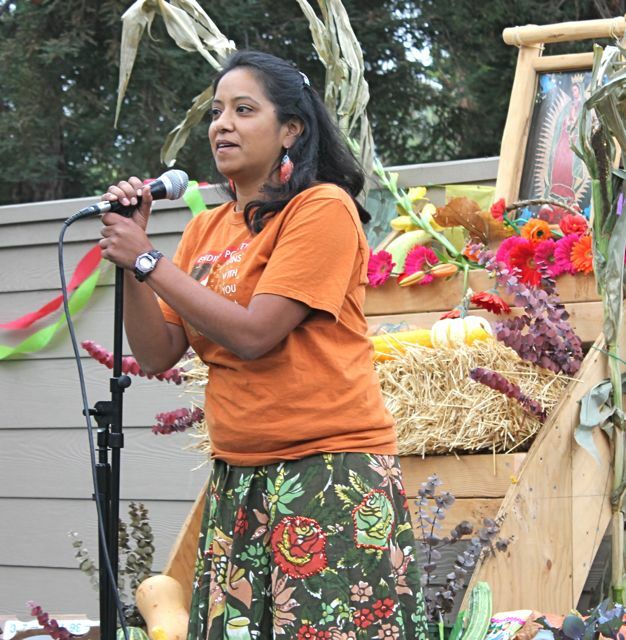 Ramirez is looking for bilingual and bicultural volunteers to join the program, however she is also working on building up the leadership skills of some of the original La Mesa Verde families, so that they can in turn become mentors to new participants. Calling them “Promotores Verdes”, or “Green Promoters”, the graduates of the program will lead workshops in nutrition and gardening, as well as actively recruit and perform outreach for La Mesa Verde. Who better to promote the program than “a family that got the garden, was transformed and changed? It’s so much more powerful,” Ramirez said. 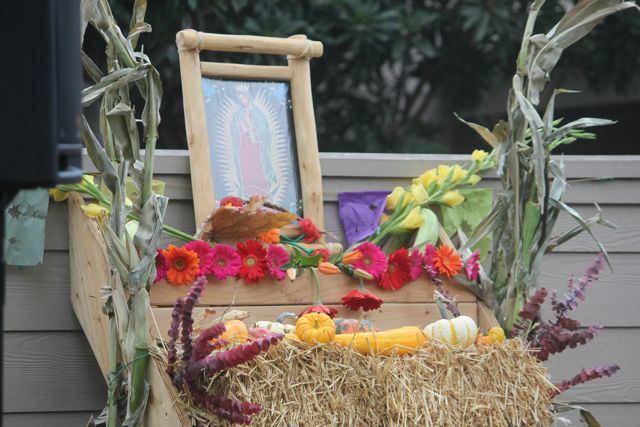 La Mesa Verde is also shifting its focus from reaching out to all of San Jose as a service-oriented program, to concentrating on building a strong and sustainable community within the neighborhoods directly surrounding Sacred Heart, Ramirez said. “I think we did a really good job first two years of focusing on being sustainable gardeners, now I want them to become sustainable communities,” she said. In addition to encouraging neighbors to help each other with gardening, she envisions neighbors working together on things like water recycling, raising chickens, and bee keeping. 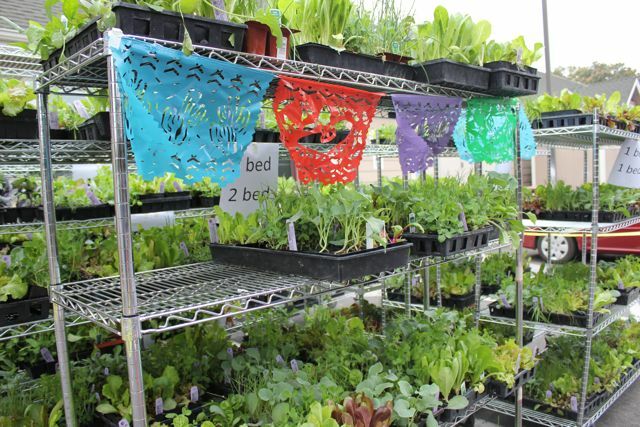 Both Guevara and Ramirez said that as the families become more involved in growing their own food, they are raising larger questions about food availability in the community. “Families are starting to ask, ‘why don’t we have healthy food in our neighborhood? '”, Guevara said. The two expect more La Mesa Verde families will become increasingly involved in advocacy and policy issues. 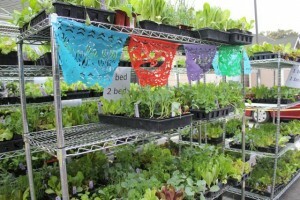 In the meantime, they see a flourishing community growing from the family gardeners themselves. La Mesa Verde is always looking for skilled volunteers, especially those who speak Spanish. Donations are also welcomed to keep the program growing. 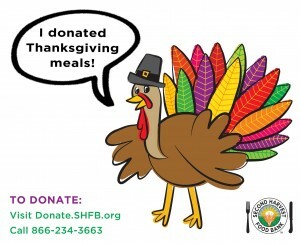 Visit the Sacred Heart Community Services website to learn more. Master Gardener Connie Cavanaugh shows families how to plant fall vegetables during a demonstration at Sacred Heart Community Services. 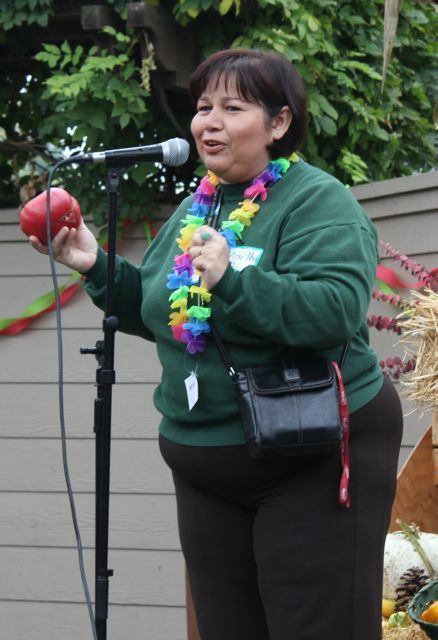 Marta Barahona shows off the tomato she grew in her garden. Harvest decorations surround an image of Our Lady of Guadalupe at the Fall Planting Day festivities. 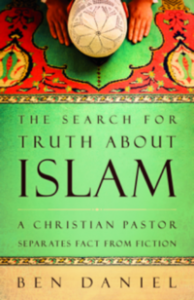 Islam: Separating Fact From Fiction Free Event in Sunnyvale, Aug. .. In an era of misinformation prompting fear and wondering about Islam and .. 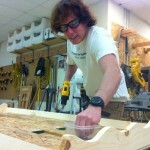 The Push is On: 2,000 Habitat Volunteers Needed for Carter ..
Mike Rico of Americorps and Habitat for Humanity ..